Use this versatile kitchen utensil to measure, prepare, and serve your delicious dishes! Its flat bottom bowl makes this ladle an asset to your commercial kitchen. An alternative to measuring cups, spoon, or spatulas, this ladle is useful for a variety of tasks when it comes to making delicious pizza, flatbread, soups, and sauces. The stainless steel construction makes it a durable addition to your commercial kitchen. 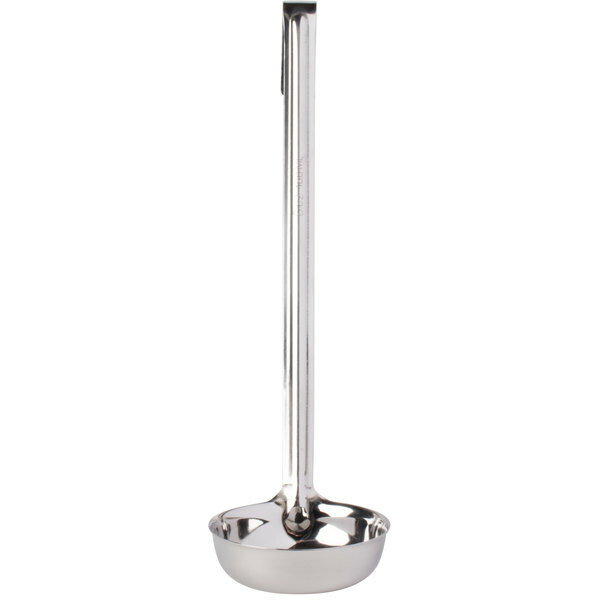 Plus, the one-piece construction makes this ladle easy to clean after service.